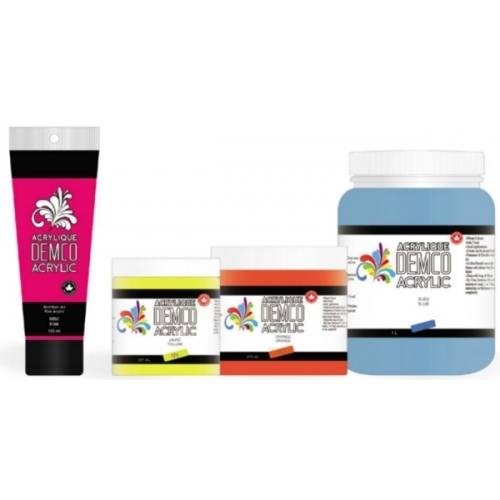 DEMCO EnCouleurs's ἀuorescent ACRYLICS are non-toxic and water-based paints available in 6 vibrant colours. These acrylics have excellent opacity, are intermixable, and can be worked using a brush or a painting knife. Best when applied to porous surfaces, they can be used with a variety of medias including construction paper, canvas, wood or cloth. Cleans up easily with soap and water.